AND international orders over $35! 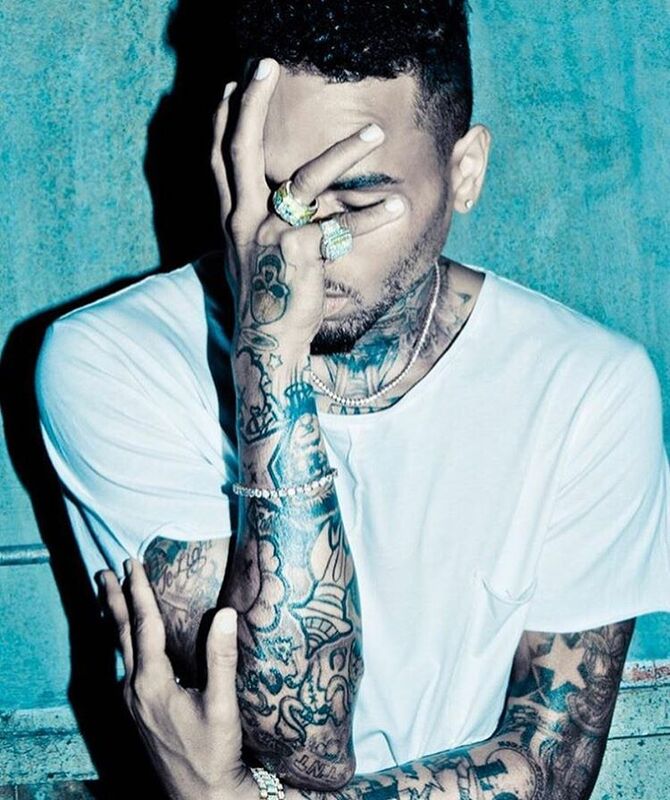 Plenty of inked-up celebrities started their tattoo collection at an early age, but few as early as Chris Brown. The 27-year-old got his very first tattoo at the ripe young age of 13, and his mother was not too happy about it, to say the least. In the years since though, Chris Brown has turned his body into a work of art, covering it with pieces that speak to him emotionally, represent important milestones in his life, are inspired by his own artwork, or are simply appealing to his practiced artist’s eye. 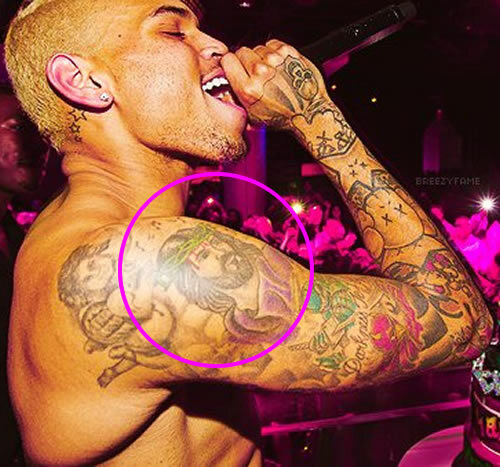 Since the age of 13, Chris Brown has amassed more than 50 tattoos, many of them devoted to his love for music and the important people in his life. Some of his most recent tattoos include a large piece on the back of his head featuring an image of the Greek goddess Aphrodite and a bull representing his zodiac sign, Taurus. These won’t be his last tattoos though. According to Breezy himself, he plans to get a tattoo on his back, and during his Urban Ink interview, the singer detailed his creative process of choosing what ink to get next. It’s been more than six months since Chris Brown debuted a new tattoo, and during a 2013 interview with The Guardian, the singer said, “Every tattoo I have is a big f*** you. So it’s just, like, this is just me, and I’m the guy who’s going to be just the same guy at all times.” If he does plan on getting a new piece on his back, we can’t wait to see what design he chooses. What do you all think it’ll be?? Check Out Our Celebrity Inspired Temporary Tattoos! Wanna Stay Up on All Your Favorites’ Tats?